Whether you are in our practice for the first time or have been our patient for several years, we will always perform a thorough and complete examination. 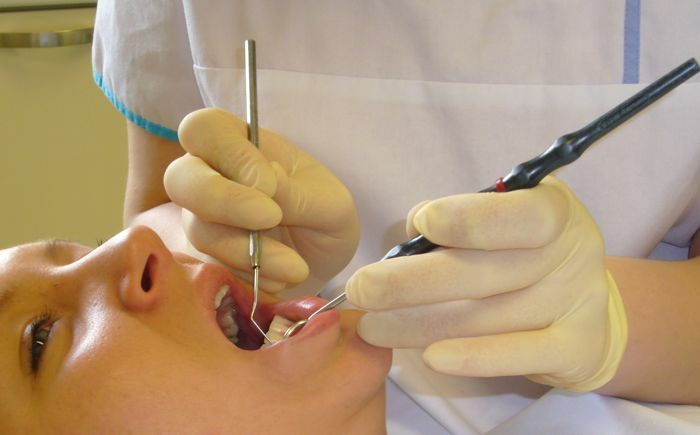 We also diagnose orthodontic problems that may lead to dysfunction or affect cosmetic aspects. To complete a dental status and a medical assessment of impacted wisdom teeth or of bone conditions, e.g. in case of parodontitis, an X-ray examination can be necessary. Often, this leads to the discovery of significant, previously undiagnosed problems. Early treatment in these cases can prevent further exacerbation. We always ensure a minimum exposure to radiation. The intraoral camera enables us to examine places in your mouth that are normally difficult to reach. Furthermore it enables you to see your teeth as the dentist sees them and to become aware of problem zones. We place great value on evaluating and explaining your results understandably and in detail. We will answer all of your questions and develop an individual concept of treatment with you. We are glad to spend time informing you because we like cooperating with interested and well-informed patients. This short overview does not include the whole range of possible treatments. We will be pleased to give you more detailed information in a personal consultation. last update 448 days ago, 01/26/2018 - 15:11. ✔︎ OK — Click here to hide this notice permanently.